Being a Canadian, I love to promote Canadian heavy metal every chance I can get away with it. Getting this album to promote from the Montreal, Quebec based Progressive Death Metallers Derelict at first seemed to be a dream come true for this Hockey hungry headbanger... then I listened to what I had been handed. Derelict was indeed intensely fast, over the top heavy, furious and utterly uncompromising! That all should have me feeling like the happiest metalhead in Canada... but I ended up to be left looking for substance. There is this overwhelming pool of talent on this album that shows through at every musical turn, but for some reason... I was left feeling sort of gypped. Songs like 'Pirates' and the ear blasting 'Xenocide' are the shining spots on this album (the intros are such amazing contrasts), while the rest of it seemed to be just sort of there... lacking something that to me is intangible and undefinable. I don't have a clue to what it is that is missing here, but the album as a whole never got me excited or even revved up even a little. I am, in a word... disappointed. Don't get me wrong here... it was a very good album, I was sort of hoping for something a little more that what had been recorded. 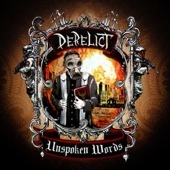 Derelict are making one hell if a huge buzz throughout the extreme metal circuit here in the snow swept cold of Canada... I for one don't fully see what the hype is all about. They are definitely good... they just happen not to be great as of yet.